Butrint is situated on a low promontory on the southwest coast of Albania. Set in a marshy landscape between Lake Butrint, an inland lagoon, and the busy straits separating Corfu from Albania, it is an archeological and environmental haven. The Butrint Foundation was founded in 1993 by Lord Rothschild and Lord Sainsbury of Preston Candover with the aim of preserving, conserving and developing the Butrint site. 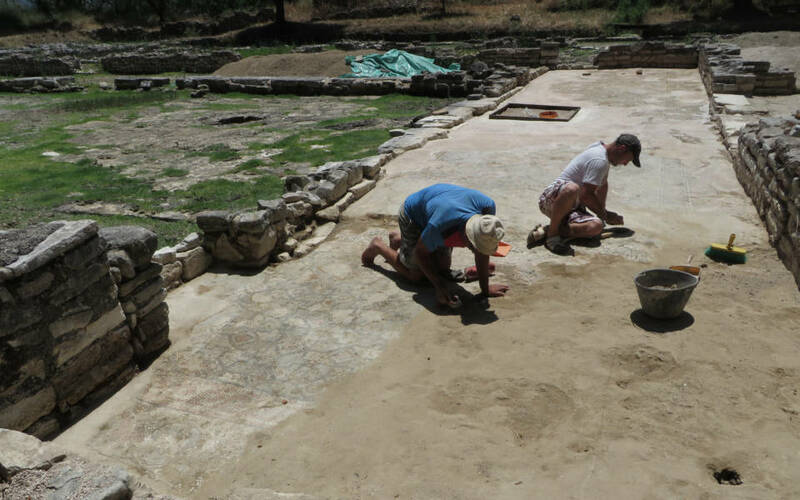 The Foundation oversaw archaeological excavations at Butrint between 1997 and 2004 the main findings relate to a substantial Roman settlement but there are also buildings from late-antiquity that have been discovered. The Foundation continues today, albeit with a much reduced grant-making programme and no direct work on the Butrint site. It is administered by the Rothschild Foundation and jointly funded by the Rothschild Foundation and the Linbury Trust. The Butrint Foundation is administered by the Rothschild Foundation and is jointly funded by the Rothschild Foundation and the Linbury Trust.